Choosing the right food to feed your new puppy is crucial to their overall health and well-being and something that should be done with careful thought and consideration. As your puppy’s breeder, our commitment to the health and happiness of your newest family member doesn’t end when you arrive to bring your puppy home! Our aim is to provide the best advice when it comes to caring for your new pet, including grooming, training, exercise and especially nutrition! This is one of the many reasons why we choose to feed our dogs and proudly recommend TLC Whole Life Dog Food. 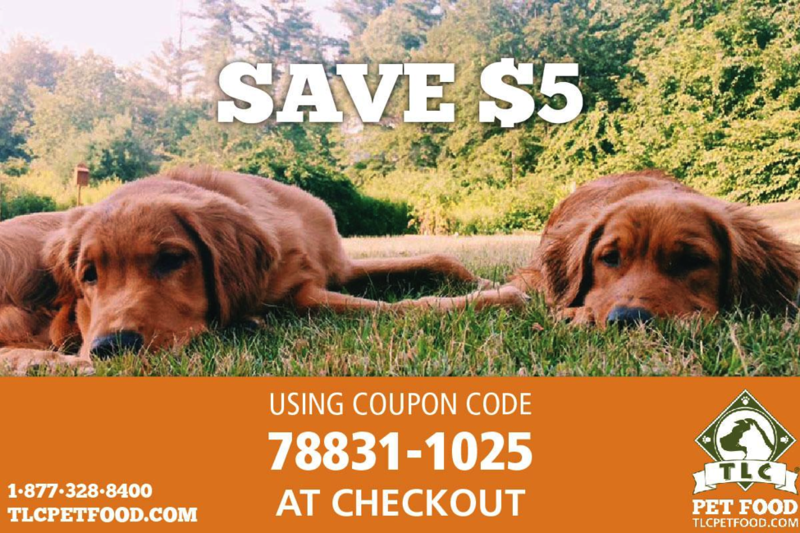 Delivering the ultimate balance of quality meats, animal fats, vitamins and minerals, TLC Whole Life Dog Food provides everything your puppy needs to develop into a strong, healthy and energetic dog. Click here for a complete list of ingredients and how they benefit your puppy! Never Worry About Running Out of Pet Food! Learn more about TLC Autoship here. Feel free to contact TLC's dedicated Pet Service Team by phone 1-877-328-8400 or by email petservice@tlcpetfood.com if you have any questions about getting started and visit MyTLCPuppy.COM for excellent information on caring for your new puppy! ~ Meat-first, ancestral based formula sold to North American pet owners since 1994. ~ Made with wholesome ingredients and biologically beneficial protein sources, TLC has a taste your pup will love and nutrition you can trust. ~ TLC Pet Food is made fresh and delivered for FREE right to your door. ~ Unmatched customer service, dedicated to serving you and your pet. ~ Schedule your FREE deliveries according to your pet's individual eating habits using Autoship. ~ Never worry about running out of pet food, change, adjust or cancel anytime!